Searching for Diabetic Alert Service Dog Costs? So my son just asked me if a diabetic alert dog really cost $10,000.00. So I’m guessing others out there are thinking the same thing…. And yes that is how much a diabetic alert dog cost! They are very expensive but I believe will be worth every penny. And there are always a price range and it’s best to talk to an expert in the diabetic alert dogs business like Diabetic Alert Dogs of America serves individuals of all ages and families affected by diabetes throughout the entire United States. Chocolate Jack is the name of the Chocolate Lab that Dylan has his eye on. Jack doesn’t come cheap. 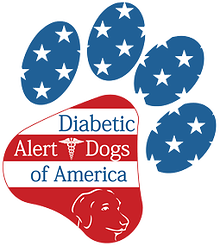 The average diabetic alert dog cost nearly $20,000. Dylan is only $3,000 away from making a down payment on the pup to secure the lab as his own. Diabetes doesn’t slow Dylan down. These days he is pumping iron and working on his endurance at the UAH fitness center. He is training to hike 100 miles on The Appalachian Trail to raise money to buy a diabetic alert dog. Type 2 diabetes is more common than type 1, caused by insulin resistance, and this causes the insulin that is being produced not able to work correctly. So unlike type 1 diabetes, the body actually does create insulin and by changing your lifestyle (diet and exercise) you can control type 2 diabetes.